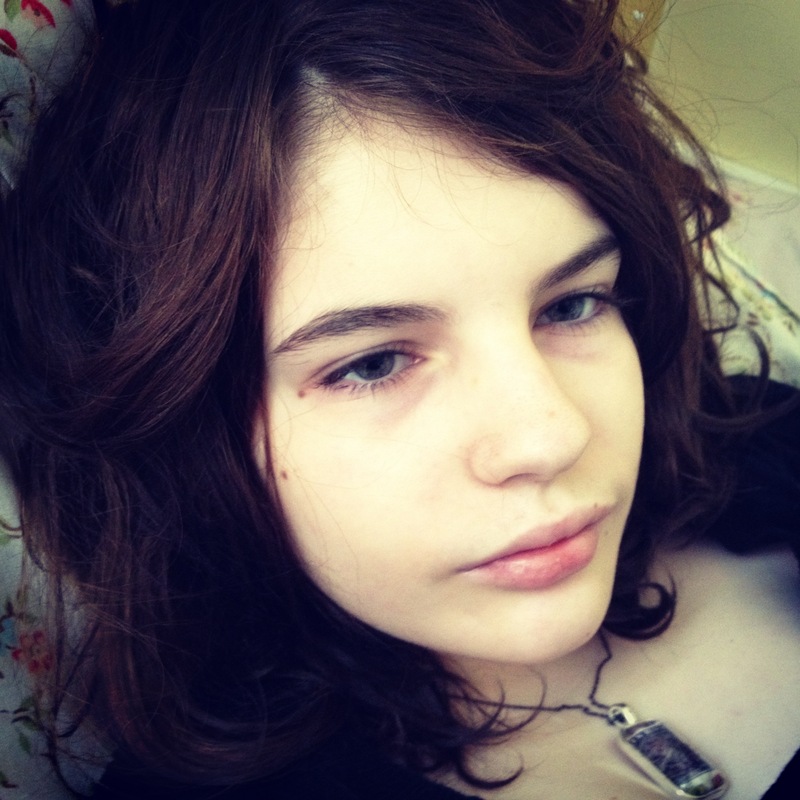 India Olivia Taylor died on October 11th 2013 after a six-year battle with a devastating neurological disorder that caused her to have thousands of seizures a day. She was sixteen, beautiful, bold, bad-tempered, and quick-witted. She dreamed of: moving to Japan, being a voice actor, having a boyfriend, riding a horse again, and being an international traveller. Everywhere India went she sang. She even sang in her sleep. India had chutzpah and was proud of her Eastern European roots on her Dad’s side. For a while she even wore a star of David. She had a talent for mediation and helping people resolve disagreements. I often thought she’d be a psychologist. After she died, many people were kind enough to share their stories of India with me. My favourite was her art teacher’s. She told me that in class India was always a peacemaker. This makes me very proud. attempt the world consecutive day record running a marathon. 26.2 miles 366 straight days raising Epilepsy awareness one marathon and mile at a time. The marathon record I WILL BREAK pales in comparison to the challenges that these children, their love ones and care takers go through… every day. I am going to run the 366 marathons for the people behind the scenes who never get recognition while giving 100% to the finding ways for those with Epilepsy to live well or for working in research trying to find a cure. I am going to run for Epilepsy awareness. In the past six years, Glenn Fenster has made six solo bicycle trips across the country to raise awareness of epilepsy. This year, he skipped a seventh epic pedaling journey to watch his son, Nyle, graduate from high school. But Fenster, 51, a tennis instructor and poet, says he didn’t want to stop a mission that began nine years ago and has become all-consuming, leading him to him downsize from an apartment to a tiny room and to give up his Jeep Cherokee for a bike. So to keep his mission in the public eye this year, Fenster will attempt to run from Key Largo to Key West on Saturday. His motto is “one seizure is too many, one mile is not enough” for those suffering with epilepsy — the chronic neurological disorder with which his only child was diagnosed at age 2. While the only significant inclines occur on the bridges, nearly half the people who start the individual 100-mile race fail to cross the finish line at Smathers Beach in Key West. “It’s a surprisingly low finish rate considering the flat course,” race director Bob Becker said. “It’s tough because of the heat and humidity factor,” especially for out-of-state runners coming from cooler climes. Fenster says he is running 100 miles for the number of seizures some children have in a month and others have in a single day. He will never forget watching Nyle have his first seizure in his crib. At the time, he had no idea what was happening. Nyle had countless seizures over the years. Some were just blank stares and others meant violent shaking. “A minute could go by and you are standing, watching, praying and begging for it to stop,” Fenster said. Thanks to medication, Nyle has not had a seizure in 2 1/2 years. He’s attending his prom Saturday night, the day of the race. Next, it’s off to college to become a chef. While his son’s epilepsy seems to be under control, Fenster continues his mission for the other children with the disorder. He has a website, http://www.destinymaker.org, but it is not a non-profit. He asks that anyone who wants to make a donation do so with an epilepsy charity. After a recent workout in Aventura, Fenster declared he was ready for the century run, which is a little less than the equivalent of four marathons back to back. “We’ve calculated over 182,000 times my feet will hit the ground,” he said. It will be hot, with temperatures in the mid 80s during the day and high 70s at night. But it will help if it is overcast. The weekend forecast calls for scattered thunderstorms, about a 30 percent chance, with 8 to 9 mph winds. Fenster has no illusions of winning the race. He’s running to finish. To do so, he has trained hard, about five hours a day since Nov. 1. His recent routine has included running five half-marathons (13.1 miles) a week, Monday through Friday. On Saturdays, he does a longer run. He started with a marathon (26.2 miles) and worked his way up to 56 miles. He also has cycled about 4,000 miles since New Year’s Day, religiously works out with weights and does a stretching routine for range of motion. He’s in peak condition despite a bike crash that broke his ribs and teeth and a procedure to remove a growth on his back. Fenster, a vegetarian since 1994, has worked to fatten up for race day. At 5-foot-9, he said he will eat a good pasta dinner, nuts and beans for energy stores to boost his weight to about 167 pounds. He’s normally 160. On race day, he’ll take a hot shower and drink coffee before heading to the start line. When he runs, he breathes only through his nose and keeps his mouth shut. Chi is the central underlying principle in traditional Chinese medicine and martial arts, and literally means breath, air or gas. Becker said Keys100 provides fully supported aid stations along the way. Water stations are available every five miles. Now Fenster looks forward to new challenges, one that could bring a world record in consecutive days running a marathon. His next event/project beginning January 1st 2013 Fenster is calling A Year and a Day…The Marathon Project. Wow Glenn, thank you for your energy and good work. With people like you on our side we can’t fail. Thank you for sharing your story. It makes me happy to know people like you are out there. I am not sure if what I am about to say will be of any help but here goes. I have two children suffering from a metabolic condition called Melas. Late 2008, my son was admitted to Liverpool Hospital with seizures. He has been admitted to the same hospital many times prior. This time, the doctors were not able to control his seizures which lasted more than 2 weeks non stop. He was given days or weeks to live. There was not much the doctors could do, and so he was discharged to live out his fate at home. Just before he was discharged, we were introduced to Tibetan herbs by a friend. We managed to get those herbs for him. Normally, the doctor would need to examine him before the herbs could be prescribed but he was not able to travel to the hospital which is located in India. To make the long story short, my son is still bed bound, but he is able to speak, watch TV and communicate with us to a certain degree. I am saying anything other then we tried something we did not know much out of desperation and he is recovering, albeit at an extremely slow pace. Please google this site (http://www.men-tsee-khang.org/index.htm). This is where we got the herbal medication. Dear Eddie, Thank you for taking the time out of what must be a very busy day to write to me. It’s generous of you. It’s difficult caring for one ill child but two. How can you manage? I hope you have help? Thank you for sharing your experience. I know what it’s like to watch your child suffer with seizures and it’s gut wrenching. My heart goes out to you and your boy. I hope he continues to improve. I will think of him. I will take my time and look at the website you suggested. Thank you so very much. To India’s mother – My heart aches for you and I wish there was an answer for your family. Our 20 year old daughter has Type 1 diabetes but that is nothing compared to what you face. You must be exhausted. A long distance hug from the other side of the world from our family to yours. Thank you for sharing your story and the hug. You’re right Mark and I live in a constant state of exhaustion. We worry a great deal. It’s a very nice feeling knowing that people are keeping their fingers crossed for us. i read your story here in australia.. it even got into the papers here! That’s very cool. This looks very interesting. Thank you. My heart goes out to you and India. Thanks for your sharing. It breaks my heart to read of your situation. We walk this journey together though we are thousands of miles apart. The suffering, the pain and the little joy all mIx up into a bitter sweet cocktail which we sip daily. Bless you India and bless you too Lesley. I heard India’s story this morning on the CBC and I was very moved. Let India know that her story has touched me and many others and that she will be in my thoughts for a long time to come. Of course, I will Charles. We thank you for thinking about our lovely India. I have a rare disease too. Actually 2. Have you heard of the Global Genes Rare Project in California? My syndromes affect 1/200,000 people (I’m not sure about your daughter; I’m sorry). Not to try to convince you about Global Genes but their purpose (in my opinion) is to support those of us affected by ALL/ANY rare disease. I was just at an event this weekend that was hosted by them and it did so much to bolster me on my road. I only ran across your blog last night and don’t know much yet – I look forward to reading more. Just read your words via an old art school friend, tears in my eyes. What you are doing is good, very good. She looked like a wonderful person. I don’t think anyone goes away, they are part of us, it is continuous, all of it. All connected, transforming from one state to another. Poussiere des etoiles. Stardust with trajectory variables- some paths longer than others, all of us racing into the unknown, in various states. Thank you, Angela. What a beautiful letter. It’s funny you mentioned stardust. I’ve been calling Indy’s remains Indy dust because when he was 10 or 11, she looked like Tinkerbell.